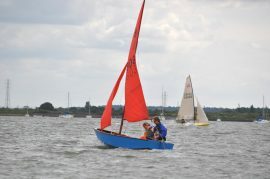 The club is always keen to recruit new members of any age who have an interest in getting on to the water at Manningtree and taking part in Club activities. Normally applicants are proposed and seconded by established Club members, but if you are new to the area or do not know any members, contact the Membership Secretary and a meeting can be arranged. 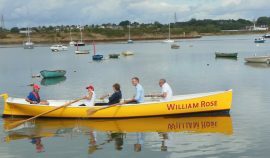 All members are expected, from time to time, to contribute to the running and maintenance of the club and its facilities. Please send this form to the Membership Secretary with the joining fee. Your name, category of membership applied for and boating interest, but no other personal details, will be displayed in the clubhouse for at least a week. Your application will be considered at the next monthly meeting of the General Committee. The Committee may require further information, in which case you will be contacted to arrange a meeting. If your membership is approved you will be notified by post and the current annual membership fee will be requested. Your membership will start from receipt of your membership remittance. The subscription period runs from 1 April to 31 March the following year; renewals are requested with AGM notices in February. 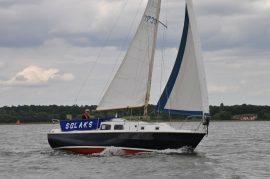 Subscriptions of applicants approved after the end of the sailing season cover membership for the following year.